Exactly one year ago yesterday, Ray Bunce, a strong local campaigner who achieved a great deal for Worcester Park sadly died. 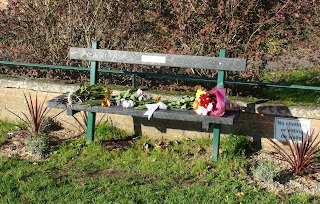 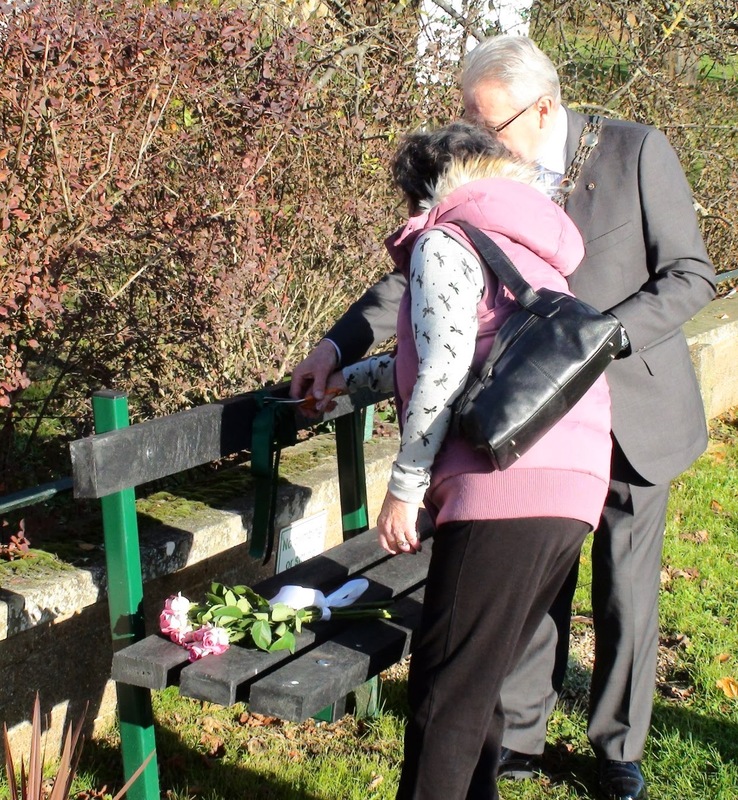 Because of Ray's positive influence in the community, the council decided to install a special memorial bench to him outside Green Lane School where he did much of his good work. 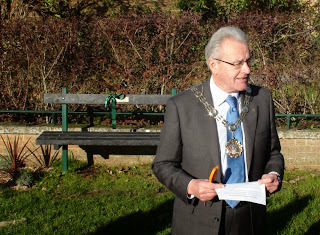 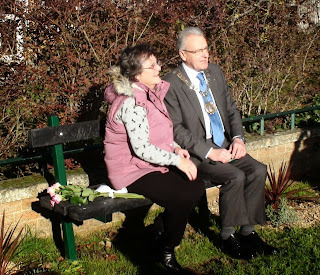 Yesterday, on the first anniversary of his death, at 11:45, Ray's family and friends, local councillors and the community gathered at the site as the Mayor of Sutton, Sean Brennan cut the ribbon with Evelyn, Ray's widow to formally dedicate the bench to Ray's memory. 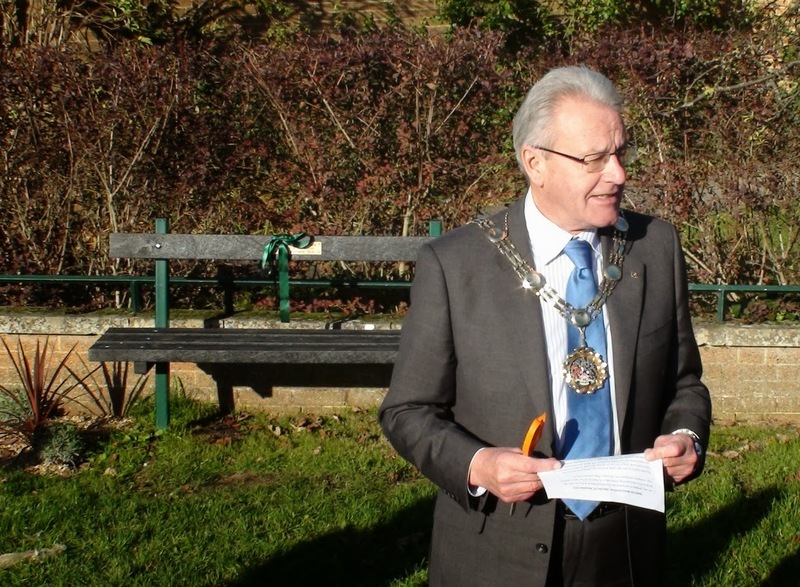 What could have been an awful cold and wet November morning turned out to be pleasant and sunny (but still cold - it is November after all). 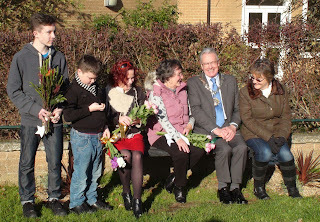 I spoke with both Evelyn and Amy, their daughter afterwards and both said how nice the dedication and the day had been. I'm sure it was the least we could do for someone who gave so much to Worcester Park.